Lois has been a highly respected primary music specialist and Music For Children/Do re mi teacher, teaching in her own home. Lois was a co-editor of the 1986 revision of the pilot music program documents for Education Queensland. Lois, for many years worked at Griffith University delivering a full semester course to the undergraduate Bachelor of Education Students. Lois worked across all the education campuses and was a very valuable member of the team. She worked with a practical hands-on approach and the students completed her course with skills to sing and play and guide their future students. Lois was involved in the major in service initiative based on the QPMP (Qld Pilot Music Program) which ran from 1978 to 1986, taking sessions with music teachers. In 1987 a 10 Week Course for Primary Music Teachers was introduced. Lois was involved in presenting sessions at many of these courses. Lois with a group of students from Mitchelton State School was involved in the development of Level 1 of Tune In Kits for students in Queensland who didn’t have access to a trained music teacher. 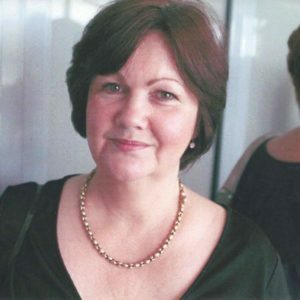 In 1990 -1993 Lois was elected as Secretary on the KMEIA Queensland branch committee. In 1994 she served as a general committee member. After a brief break she was elected as the KMEIA Queensland branch President from 1997-2000 and remained as a general committee member until the end of 2002.